Laguna Beach, CA — After spending several years honing his driving skills in European racing series, American Michael Lewis returns to his home country to compete this season in the IMSA Porsche GT3 Cup Challenge USA by Yokohama. Michael will race in the series’ Platinum Class while driving the No. 98 Competition Motorsports/Curb-Agajanian Porsche 911 GT3 Cup Car.With the merger of the American Le Mans Series and Grand-Am Road Racing into the TUDOR United SportsCar Championship this year,Michael’s return to the United States racing scene is timely, as he sees plenty of opportunity to improve his racing skills in this IMSA-sanctioned race series. The IMSA Porsche GT3 Cup Challenge is the “opening act” for the TUDOR United SportsCar Championship with two 45-minute sprint races per event weekend. 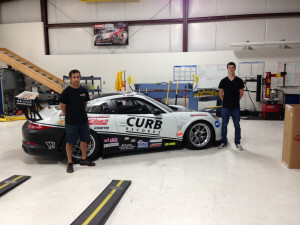 “This opportunity to race in the Porsche GT3 Cup Challenge USA by Yokohama with Competition Motorsports/Curb-Agajanian is the perfect fit,” explained Michael Lewis. 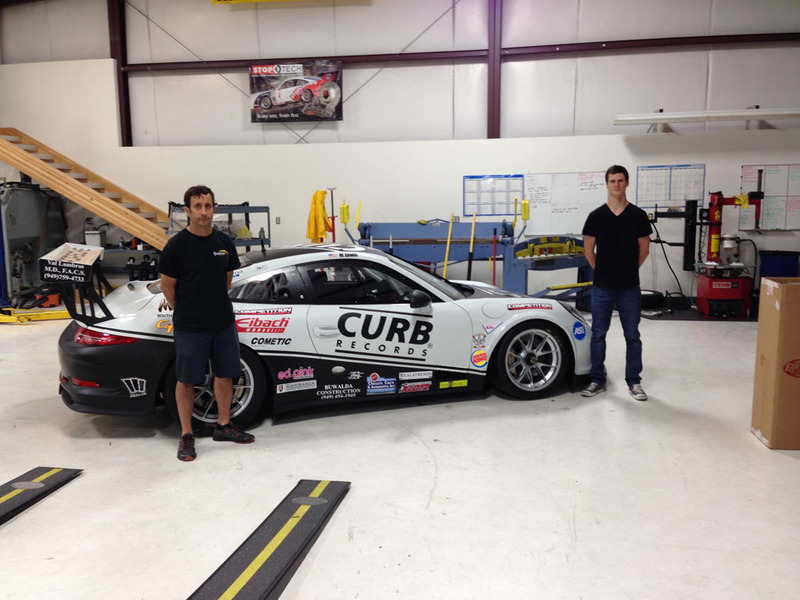 Of special significance,Michael and Competition Motorsports have formed a relationship with Curb Records and the Agajanian family for this 2014 season. The official entry for Michael’s No. 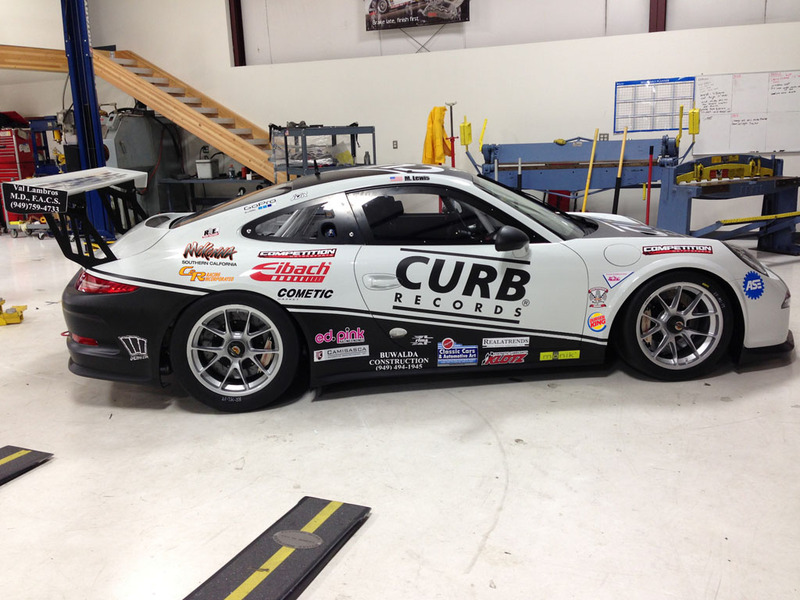 98 Porsche GT3 Cup Car will be listed as “Competition Motorsports/Curb-Agajanian.” The famed Curb Records logo will be prominently displayed on Michael’s No. 98 Porsche 911 GT3 Cup Car as well. Sebring International Raceway will host the first race of the IMSA Porsche GT3 Cup Challenge USA by Yokohama season in conjunction with the TUDOR United SportsCar Championship’s 12 Hours of Sebring. Michael and the Competition Motorsports/Curb-Agajanian team will arrive at the Florida track for the first of two practice days, beginning on Tuesday, March 10. The following day will be a “Promoter Test Day.” Qualifying and the first 45-minute race of the season will take place on Thursday, March 13, with the series’ second race scheduled for Friday morning, March 14.Michael and the IMSA Porsche GT3 Cup Challenge USA by Yokohama will compete in 16 rounds at eight different race circuits during the championship season. Seven of these race event weekends will be held on America’s famed race courses, which consist of Sebring International Raceway, Mazda Raceway Laguna Seca, Lime Rock Park, Watkins Glen International, Road America, Circuit of The Americas and Road Atlanta. Canada’s famous Canadian Tire Motorsport Park will serve as the eighth track for the series’ championship. In addition to racing in Florida, Michael is looking forward to visiting the other tracks on the schedule, including Mazda Raceway at Laguna Seca, in California. “It might sound funny, but I’ve never gone road racing in my home state of California, and now I get to do that,” added Michael. Last season Michael competed in the FIA Formula 3 European Championship with kfzteile24 Mücke Motorsport, and the previous two seasons he raced in the Formula 3 Euroseries and in Formula 3 Italia, respectively, with Italy’s PREMA Powerteam.